In the lead-up to this August’s Content Experience, we’ve invited our speakers to participate in a series of Tweetchats, focused on how remarkable experiences can drive every stage of the buyer journey. Last week, we sat down with Andy Crestodina, Co-Founder of Orbit Media Studios, for a tweet chat discussing content marketing tools, content experiences, inspiration, and much more. We've captured the highlights of our conversation to share with you. Want to learn how you can create remarkable content experiences for every stage of the buyer journey? Join Andy Crestodina in Toronto for The Content Experience this August! We’re bringing together like-minded people in content marketing, demand generation and sales in order to connect them with interesting and impactful players that understand and champion the importance of experiences for the buyer journey. Welcome everyone to our first #conex17 tweet chat! We’ve got SEO & analytics expect @crestodina here to share his knowledge! Takeaway: Andy’s work has evolved over the last two years — he’s writing longer, more detailed articles. Orbit Media’s 3rd Annual Survey of 1,000+ bloggers revealed that the length of the average blog post is up, while shorter articles are on the decline. Articles of less than 500 words are being published with less frequency. Regardless, the research still supports the fact that frequency of publishing correlates with strong results. Even if search volume is low, it's almost always worth the time to align the content with a phrase. Takeaway: Content marketers are on the leading edge of new marketing practices, which makes them much harder to mentor. Regardless, Andy found inspiration from both Sonia Simone, co-founder and Chief Content Officer of Rainmaker Digital, and Ann Handley, best-selling author and Chief Content Officer of MarketingProfs. We love them both! 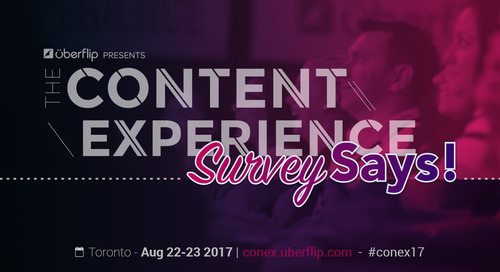 @AnnHandley will be at #conex17 speaking again this year too! Takeaway: Andy is a proponent of “zero waste marketing”. The idea is to narrow your content's focus and write for a very specific set of people, creating content for people who are already in your sales funnel, collaborating with prospects and partners, and using your blog as a networking tool. Takeaway: According to Andy, a few strong relationships can be far more important than numbers in your analytics — and, of course, winning sales deals is even better than marketing your product or service. Takeaway: Andy maintains that properly-formatted content makes it easy for potential customers to engage with your business, but the practice is often overlooked. For example, he’s careful to never write a paragraph longer than four lines, and ensures scalability by implying subheads, bullets, bolding and italics, et al. Takeaway: Andy believes that blog topics are everywhere; however, he reminds us that, while there is a place for inspiration, marketers often miss the chance to use their data. 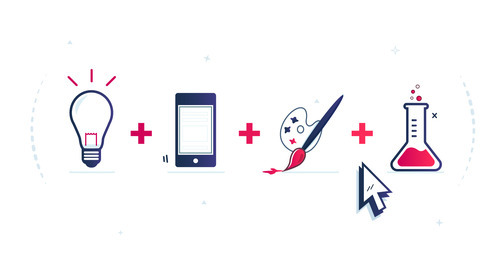 The sweet spot for content sits in the nexus of the analytics process and the creative process. Takeaway: Creativity and automation are not mutually exclusive; however, Andy cautions to always leave space for the “art" when it comes to content creation. Do you see this becoming increasingly automated? Takeaway: While marketing has experienced a paradigm shift with the rise of all things online and mobile, most successful businesses practice a combination of online and offline marketing strategies to generate leads and boost sales. SurveySays: We're hosting the ultimate marketing battle!